JPIT has been busy preparing a new resource for Advent and would love you to take a look. ‘Prepare Ye the Way’ is designed to help highlight some of the issues faced by society today while reflecting on the birth of Jesus. 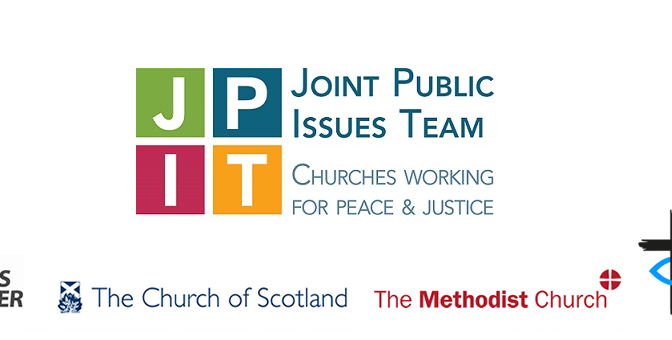 It is always exciting to hear the impact which the work of JPIT has been having: thank you for your phone calls, tweets, Facebook comments and e-mails which in turn help us support you and our Churches in creative and meaningful ways. In particular, we would love to hear from you if you have managed to ‘Meet Your MP’. This month’s newsletter also contains our latest news on Universal Credit, new poetry, Season 2 of our podcast and more.